Availability of huge volumes of data has lead to advent of big data and analytics that serve valuable purpose of gaining instant and useful insights into the seemingly meaningless data. Cloud data analytics also provide seamless access to ever-growing amounts of data and enhances collaboration as well as sharing. Organizations will continue to leverage extensive advantages of analytics in terms of lesser operational costs and much more. It has been predicted that the investments in cloud based data analytics will supersede on premise solutions by more than four times through 2020. Cloud data analytics comprise of number of components including collaboration applications to support sharing tools, compute and sharing solutions based on usage, and wide spectrum of structured and non-structured sources of data including repositories and data warehouses. Analytics models such as business intelligence tools and complex applications for event processing are useful resources for management of performance and enterprise information. Organizations can also rely on solutions offered by data analytics for adaptation of governance and compliance requirements. 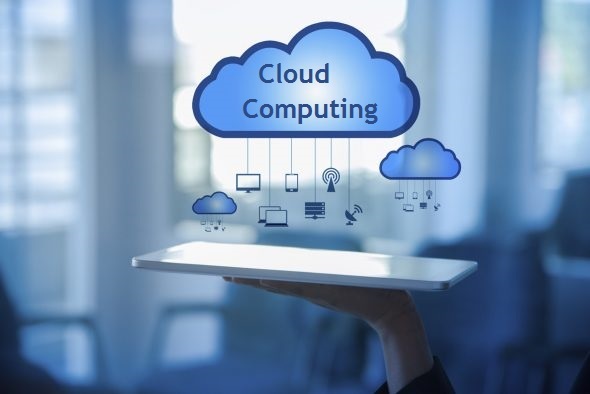 Modern sources of data such as Internet of Things, internal and external information related with social media, and data subscription services belonging to third parties can be merged only with help of cloud computing. It is predicted that the cloud traffic is stated for exponential growth through 2020 on account of this. Viability of cramming huge data amounts including structured and unstructured data into an on-site data storage resource cannot be guaranteed since the expenses of cooling, power and management are rapidly growing. In addition, it is not practical to use on-premise data storage for managing and processing data due to the greater cycle time for new workloads and perpetually growing requirement of data storage. On the other hand, cloud based resources for processing and managing data offer highly flexible and cost effective alternatives to the legacy systems. Organizations can gain valuable insights from cloud based data management solutions more easily and promptly. Performance as well as scalability of analytics cannot be guaranteed beyond certain limit in on-site platforms. There are multiple issues contributing to this, such as lack of real-time BI, efficient data warehouse, ineffective connectivity with high latency, and, so forth. Scalability, performance, and availability of analytics can suffer the most due to higher latency in onsite environments. Latency can be significantly mitigated by deploying direct interconnectivity between analytics and data in cloud to cater to unexpected demands of greater processing power as well as scalability. There is also an advantage of utility style billing that allows users to pay for what has been used. Although, establishment of an ideal and feasible platform for analytics can require significant time to come into existence, it is sure to provide instant and more valuable insights as compared to legacy platforms. Many enterprises have been able to arrive at more productive and valuable decisions with help of cloud analytics. Cloud backed data analytics are of special significance in mission critical applications. Tanks to cloud data analytics, it is easier to restore normalcy of operations in spite of an unexpected data breach. According to one of the recent reports by Harvard Business Review, more than two third of IT executives that were surveyed opined that cloud adoption is fuelled mainly by collaboration. Since analytics is essentially a collaborative exercise, it is designed to perform better in a cloud environment due to easy access to BI applications and data processing. Cloud analytics can also be designed to cover cross-enterprise analytics, shared data and visualization to cater to demands of a wide spectrum of users across the industry. Organizations need to shed their reluctance of storing data in cloud on account of security concerns. It is observed that majority of data breach instances have impacted on-site installations that lack strong security measures implemented in cloud environment. Since cloud data analytics obviate the need to access public internet, you can ensure restricted data accessibility between clouds, applications, and cloud users. Constant upgrades, redesigns, and migrations facilitate lower maintenance of cloud data analytics infrastructures. The unique pricing model of cloud ensures economy of using cloud platforms for data and analytics. Cloud data analytics guarantee resource scalability without losing control and privacy. These are ideally suited for handling mission critical workloads and for accessing better data insights to drive product development and overall performance of enterprise. What Can You Use Cloud Storage Services For? What are the Benefits of Centralised Storage for Servers? Can Clouds Embrace Big Data?